Mission Viejo always has had a lot to offer. From blue ribbon schools to bustling businesses to special events, this prime destination community has plenty of everything for everyone. 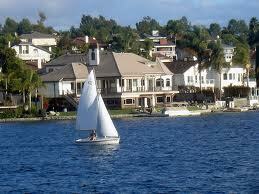 And right now what Mission Viejo has in especially great abundance is homes. In fact, home inventories are at an all time high in this community. Right now there are 550 beautiful homes for sale in the city. We’re talking the full range of choices – from 115K condos all the way up to 3.5 million lakefront estates. The picture gets even brighter when you consider that mortgage rates are at an all-time low. So what we’ve got is high inventory and low interest rates. In other words, we’re looking at a very obvious buyer’s market. And that means major deals. Of course, something this good won’t last forever. That’s why it’s a good idea take advantage of the Mission Viejo Real Estate opportunities now. Just take a look at the fantastic inventory of homes that’s available to you. And if you’d like to learn more, I’d be delighted to help. You can connect with me at 949.338.7408, angie@askangie.com, @AngieWeeks or @WeeksTeam.